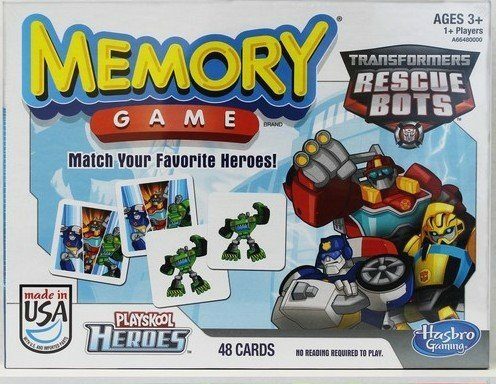 Transformers Rescue Bots Memory Game Only $11.74 (Reg. $29.99) + FREE Prime Shipping! You are here: Home / Great Deals / Amazon Deals / Transformers Rescue Bots Memory Game Only $11.74 (Reg. $29.99) + FREE Prime Shipping! Here’s a HOT gift idea for you to grab for the holidays – get the Transformers Rescue Bots Memory Game for just $11.74 + FREE shipping with Amazon Prime or Super Saver Shipping! This retails for $29.99, so you’re getting a HOT deal! My daughter has a Memory game and LOVES it! It’s perfect for her to play on her own or with us or her friends!